Panorama Stitching Service-Panorama Photography stitching service is a process of joining the 360 degree multi real estate interior images into a single frame. Outsourceimage expands your 360 degree architecture and interior panoramas with this Panorama photography stitching technique without making the stitching error. If you need to visual your multi 360 degree images in a single frame we will help for that to join those photography images in a single frame to expand it with the best appearance. For this 360 degree architectural and interior panorama service, it requires more editing skill and creative knowledge. Outsourceimage was having that ability with 100% satisfaction. Most probably our customers are in the real estate property sellers, online building sellers, real estate agents, real estate brokers, real estate property image editors, catalog preparing service provider related to the real estate properties and all the required service related to the real estate business improvement. Now a day there is no any of the peoples are searching their properties to buy it through the direct marketing. Instead of that, they are choosing the online marketing to sell the properties to overcome the competitors. 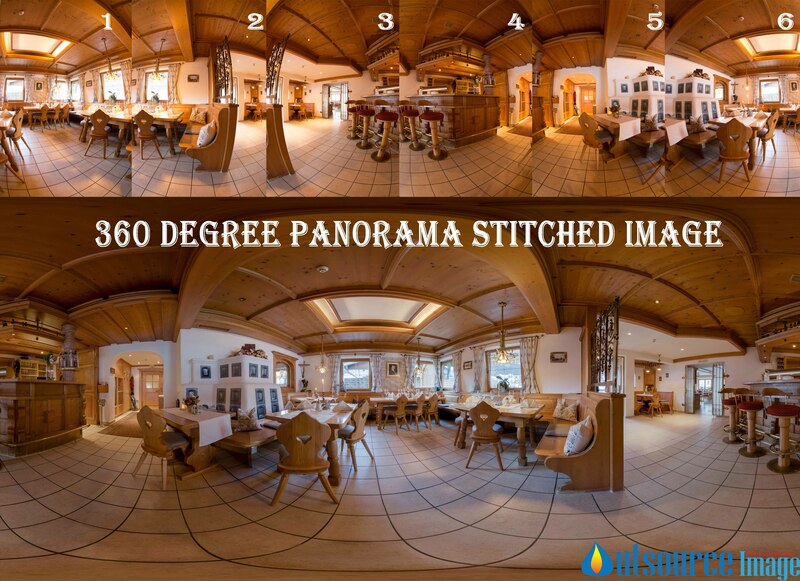 ‘Outsourceimage’ was providing the perfect stitching service to this 360 degree panorama photos. Because of for this 360 degree architectural and interior panorama service it requires the error free stitching technique to join those multiple numbers of small architectural interior images into a single frame. We are appointed the specially trained and experienced staffs to handle this 360 degree panorama stitching service. To make you the stunning we deliver you the best services on this Panorama Photography 360 degree Stitching. We are ready to service you at any time and deliver it within your requested time period. Also, this service is for the very cheap cost and provides with the free trial of service.